As the weather grows warmer and school lets out for the summer, kids and adults of all ages are gearing up for some fun on the field and on the court. Summer sports are a great way to spend time with family and friends, and the beginning of the season is a great time to make sure that we’re taking all the right safety precautions for ourselves and our kids. Athletic mouthguards, recommended by the American Academy of Pediatric Dentistry and the Academy of Sports Dentistry, have been shown to significantly reduce the severity of injuries sustained while playing a variety of sports. At D’Amico & Mauck, DDS in Aurora, CO, our team offers a variety of general and family dentistry solutions, including the customization of protective athletic mouthguards. Every year, more than 5 million teeth are avulsed, or forcibly knocked out, during competitive recreational activities. Many of these incidents can be prevented with the use of a customized athletic mouthguard. Other dental and orofacial injuries commonly sustained include lacerations of the lips and tongue, fractures to the jaw, crown and root fractures, and trauma to the gums. It is estimated that more than $500 million is spent on treating orofacial injuries every year. Protect yourself and your children this summer with an athletic mouthguard from Drs. D’Amico and Mauck. 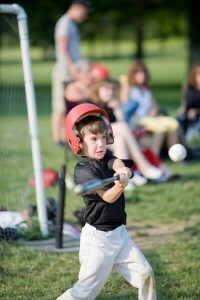 Is your child involved in sports or other recreational activities? Protect your little one’s precious smile with a customized oral appliance from D’Amico & Mauck, DDS. We look forward to helping you and/or your children preserve your oral health and comfort this season with athletic mouthguards that fit your lifestyle and protect your smile. Contact our office today to schedule your consultation with our skilled, experienced doctors and friendly staff. Our family-friendly, state-of-the-art practice in Aurora, CO also warmly welcomes patients from nearby communities in Englewood, Parker, Centennial, Denver, and beyond.